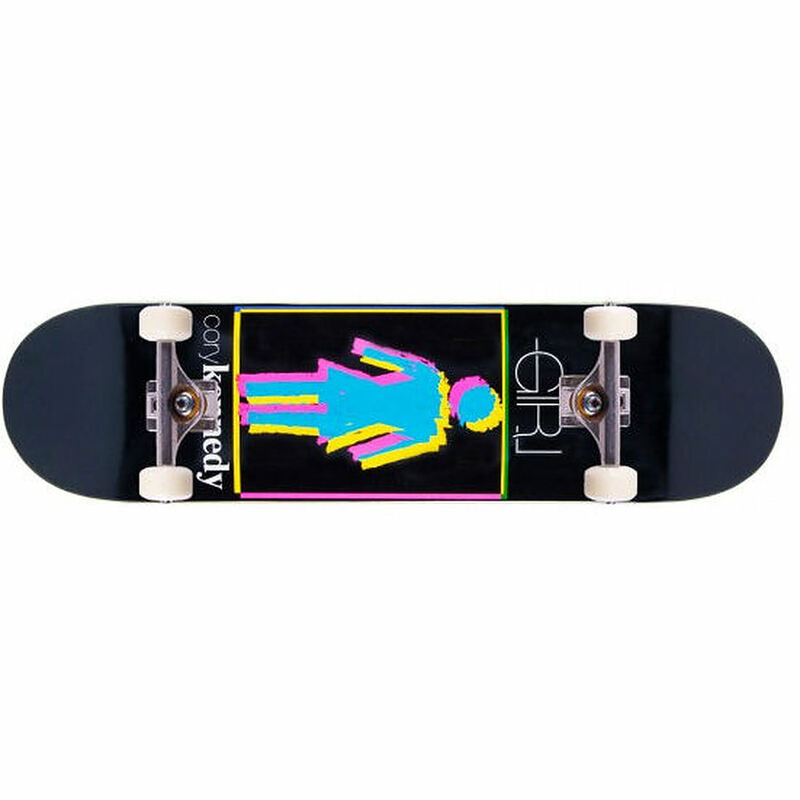 4.5	stars -	"Review for Girl Cory Kennedy Modern OG Complete Skateboard" Mark Taylor This Girl Cory Kennedy Modern OG Complete Skateboard is the best Complete Skateboards I have tried. Construction - 7ply Maple. Dimensions - 8". Hardware - Royal Trucks - Girl Bushings - High Tensile 7/8" Hardware - Girl Abec 5 Precision bearings - Girl 54mm Wheels - Black Girl Logo Grip Tape.